Boston– May 3, 2012 –Boston Pride is pleased to announce that Mix 104.1’s Fast Freddy and the Massachusetts Transgender Political Coalition have been named Grand Marshals of the 2012 Boston Pride Parade. Additionally, the late Brendan Burke has been chosen as an Honorary Marshal. The Boston Pride Parade is a march to celebrate and promote equal rights for the region’s gay, lesbian, bisexual and transgender communities and is the staple event of Pride Week. As one of the most popular and scenic gay pride marches in the country, organizations and individuals from around New England will walk together to advocate for inclusivity, equality and respect. The theme of the Boston Pride Parade this year is “Celebrating 30 Years of Worldwide Pride Movement” in honor of the annual InterPride conference, which will be held this year in Boston in October. 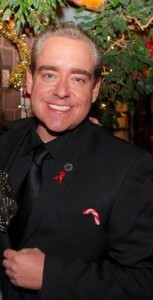 Fast Freddy was selected through an online vote by supporters of Boston Pride and members of the community. Fast Freddy is a weekday afternoon on-air personality, with Gregg Daniels and Sue Brady, at Mix 104.1, one of the most popular radio stations in the region. He began his career in radio as an intern for local legend, Sunny Jo White and has worked for Mix since 2005. More information on Fast Freddy can be found at the Mix 104.1 Web site. The Massachusetts Transgender Political Coalition (MTPC) was chosen by the Boston Pride Board of Directors in recognition of their work supporting the Transgender Equal Rights Bill, which was signed into law by Governor Deval Patrick in January. The law made Massachusetts the 16th state to add non-discrimination laws for gender identity in employment, housing, K-12 public education, and credit. Additionally, Massachusetts hate crimes laws were also updated to include gender identity. More information on MTPC can be found at their Web site. The community also voted to name Brendan Burke as an Honorary Marshal, which is given posthumously. 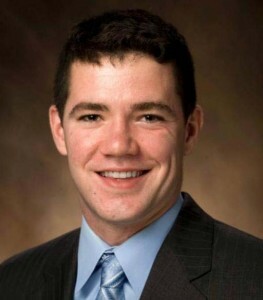 Burke, who was an athlete and student manager of the RedHawks ice hockey team at Miami University (Ohio), made international headlines in 2009 for coming out as a sophomore in college and for advocating tolerance in professional sports. Burke, whose hometown is Canton, Massachusetts and who graduated from Xaverian High School in Westwood, Massachusetts, was killed in a car crash in 2010. Burke’s father, Brian, is general manager of the Toronto Maple Leafs and of the US Olympic Hockey Team and USA Hockey established the “Brendan Burke Scholarship” in his honor. His brother Patrick Burke has established the nonprofit You Can Play, to ensure equality, respect and safety for all athletes, without regard to sexual orientation.